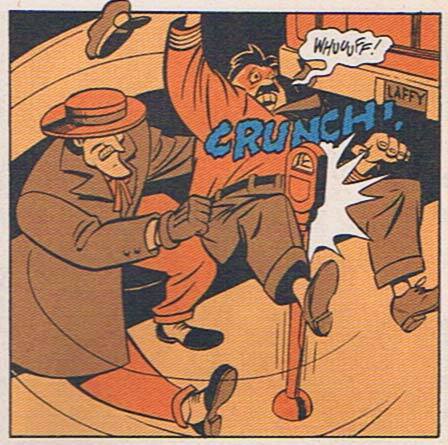 ← Random Panel: Is that like Disco Dancing? In honor of "OnomontoPOWia Friday", I bring you a series of kicks to the crotch. Some of these you have seen here before and some are new, but I think we can all agree that any blow to the boys is fun, no matter what. Enjoy. 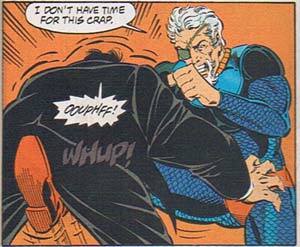 Note that when American Flagg kicks someone in the junk, it is silent. 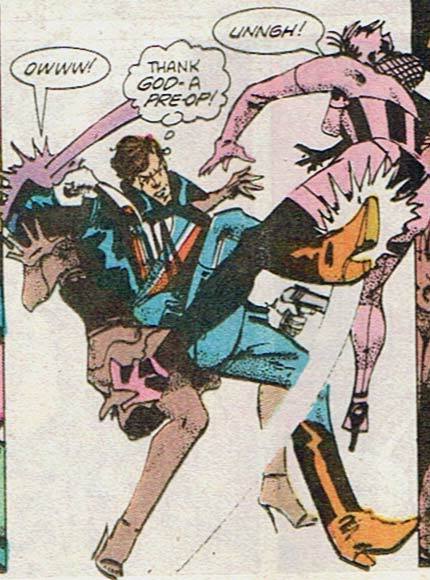 I don't know for sure what that means, but given that this is Howard Chaykin writing, it's probably both deep and disgusting at the same time. this posts hurts just reading it.